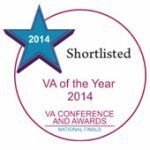 Value Add Business Solutions are delighted to announce they have been shortlisted in the VA of the Year for Scotland at the 2014 VA Conference and Awards. The Glasgow based business; providers of quality business solutions to help small to medium-sized business succeed, have said they are honoured after learning about the nomination. Over the past couple of months here at VABS, I’ve been testing various different types of project management software to try and sort the useful from the useless and understand what works best for our business. This month, it is web and mobile application Asana which has stepped into the spotlight.